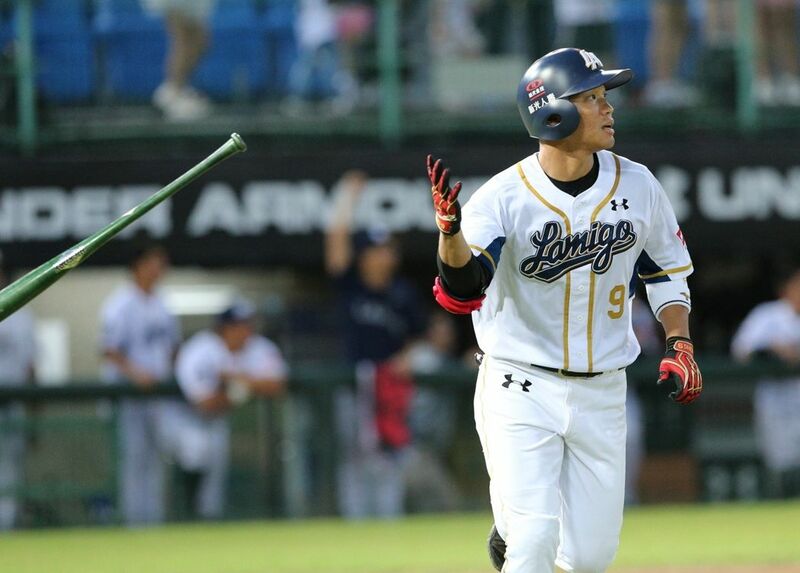 The Lamigo Monkeys’ 王柏融 (Wang Po-Jung) has signed a three-year, four million USD (roughly 450 million yen) deal with the Hokkaido Nippon-Ham Fighters in the NPB. According to Wang Po-Jung’s agent, the total value is close to four million USD, with his first-year salary around 90 million yen ($800,000 USD). There are also additional incentives attached to the contract, but he is unable to discuss that at this stage. *Update: According to Japanese media Nikkan Sports , it is a three-year, 400 million yen (3.55 million USD). 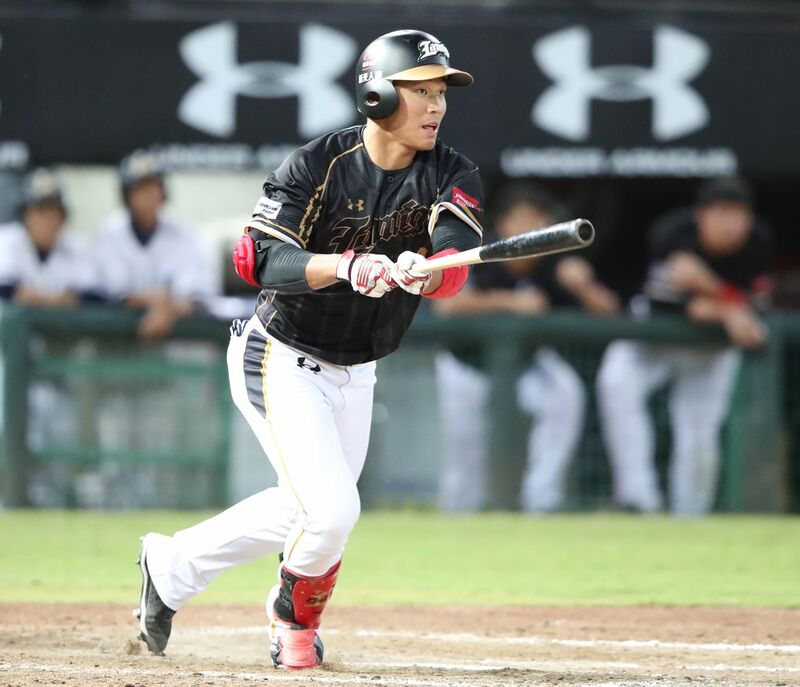 “Wang Po-Jung is the best player in the CPBL history, and I look forward to seeing Wang continue to evolve once he gets used to the NPB,” said the Fighters’ general manager Hiroshi Yoshimura. The Fighters will hold two signing press conferences for Wang Po-Jung. December 19 in Taiwan and December 21 in Japan at the Sapporo Dome. Both the Fighters’ general manager and the manager will attend the signing ceremony and properly introduce Wang to the media. How Much Was the Posting Fee? At this stage, there is no mentioning of the posting fee which paid to the Lamigo Monkeys. However, there are plenty of rumours and speculations on this topic. Wow! That’s a lot more than I thought Wang would get on a first NPB contract in light of the reported $1 million posting fee. With North American foreign players, their initial NPB contract is typically modest, with the idea being that if the player succeeds in NPB, he’ll get a much, much bigger contract the second time around. Also, given Wang’s age, I figured he’d get a three year deal for around $1.5 million, better than he’d make in the CPBL, but putting him in a position where his second NPB contract or first MLB contract would be for much, much more going into his age 28 season if he were to be an NPB success. Nippon Ham must be convinced that Wang is nearly certain to be an NPB star to invest $5 million total on Wang with no NPB experience, particularly since Wang will be taking up a valuable foreign player roster spot. The fact that Nippon Ham feels it can take this risk also says something about the fact that NPB’s player salaries are artificially low relative to actual NPB revenue streams. However, Wang’s agent certainly appears to have earned his 5% of Wang’s contract. Japan Times says that Wang is getting 400 million yen ($3.54 million) plus incentives for the three years. Still very generous and a big, big raise for Wang. Yeah I saw that Japan Times article too. I hope we can get some clarification on that on December 19 at the press conference. It seems we have conflicting data between Japan Times and Wang’s agency. However, Wang’s agent did say “close to/ roughly” 4 million USD. So, there is some wiggle room there. The contract could easily be worth $4 million if all the performance incentives are met. NPB teams do not report contract amounts, so media reports are never certain like they are with MLB contracts, where decades ago the MLBPA made sure that all players reported to the union the exact terms of each contract so that other players could use the most generous contracts as a basis for the negotiation of future players’ contracts. Once MLB teams couldn’t keep the actual contract amounts secret anymore, they quickly discovered that it was actually good public relations to let the fans know exactly what kinds of salaries the players are making — if a player is making $10 million a year, it’s a statement of just how good that player is, and the fact that MLB players get paid so well is a sign of just how important the game is to the fans who ultimately pay those salaries by buying tickets, etc. A lot of pressure on Wang now. If he does well, then this will open the gate for other younger CPBL players and can change the Taiwan baseball scene completely. If he fail in the NPB, then the CPBL to NPB-MLB gateway will close for another 10 years. Way to much money for a kid with no mlb expiriences. He had dominated cpbl for the last three years, but npb is another level. Specially npb pitcher has better speed and command compared to cpbl pitchers. I believe his contract should have been 2 million (usd) for 4 years including the transfer fee. Obviously the Fighters saw the value in him to pay that much. Whether it is overpaying or not, only time will tell. I disagree with the way too much money statement, in my opinion, this is how Taiwan can evolve to the next level in terms of baseball operations and start moving away from the shadow of that 15 years of game-fixing sandals. Another important step for “brand establishment” is to get away from the “everything must be dirt cheap mentality”. Yes, he will face more higher quality pitchers in Japan next year, would be very interesting to what kind of stats he post in Japan. Players are effectively worth what the team willing to pay them the most money actually offers to pay them. If Nippon Ham’s GM is being sincere in stating that Wang is the best player ever to come out of the CPBL, that’s a pretty strong statement that Nippon Ham thinks he’s going to be an NPB star. If so, then the contract may actually turn out to a bargain by year two or three of the deal. There haven’t been many foreign players of Wang’s age and prior professional achievement beginning their NPB careers, so it was probably hard for Nippon Ham to price him. Clearly, Nippon Ham wanted to be able to lock Wang in for three seasons after making a $1M posting bid. Otherwise, Wang might have a big first or second season in NPB and then jump ship to play for one of NPB’s three rich teams or even make the jump to MLB. What i mean way too much money is that not even the former cpbl stars that went to npb had so much money. If you remenber both lin from macoto cobras and Wu from bears ( ALL PITCHERS ). They all had very very successful numbers in cpbl and they did not sign for that much of money. Even their transfer fee was very cheap, dont give me wrong wang is a great hitter and he is still young and talented. But, having monster numbers in cpbl does not guarantee success in NPB such as both Lin and Wu. If we look some former MLB payers that sign in japan does not get that much money the first year at least, after when they proof with good numbers they may get a million annual salary. Like I mention former mlb players and Wang cannot be compare with them. For MLB foreign players vs Wang are two different cases. One is a pure international free agency signing, while the other one is through the posting process, which involve paying a posting fee. Remember Wang can easily reject the Fighters’ proposal if the salary is too low. It is a two-way street, a deal won’t materialised until both parties agreed to terms. If the Fighters are willing to spent that much money, then who’s to say it is too high? There is no right or wrong answer to this. Going back to my previous points, I see this more like a brand establishment for Taiwan Baseball League, in order to have a thriving domestic professional industry, having this cheap mentality is not going to help. The KBO would be the perfect example where the CPBL can learn a few things from when it comes to brand establishment. Skillwise, are the KBO players better than the Triple-A or fringe MLB players? Of course not, but the Korean players do worth more than those AAA (fringe MLBer). It is all about building up the domestic league with the goal of eventually retaining the countries’ top young talents and build up a system where they can move up to a higher level league should they want to. 4-A player Jabari Blash just signed a reported 120 million yen ($1.06 million) deal with the Rakuten Golden Eagles for 2019. Blash is a better bet to be an NPB star in 2019, but he’s four years older than Wang. The Eagles have much less incentive to try to lock in Blash’s potential third NPB season at age 31 now than the Fighters have to try to lock in Wang’s third NPB season at age 27. The fighters very much wanted to lock in Wang for his age 26 and 27 seasons at what could be bargain prices if Wang can cut it in NPB. Yeah, that’s why I hope they can break down the contract in detail at the press conference. I would like to know the signing bonus/ annual salary by year / incentives and posting fee. There are rumours the Fighters were given the option for the fourth year. But it just unconfirmed rumour at this stage. So if Yang Dai-Kang is known as Yoh Dai-kan in Japan, does that mean Wang Po Jung becomes Woh Po-Jun in Japan? For Yang (Yoh) because he went though the Japanese education system, maybe that’s why the name change. I think for Wang Po-Jung will stick with Wang Po-Jung in Japan. An alternative spelling could be Oh Bo-Rong, but I guess it is highly unlikely. My first reaction was, wow, that’s a lot of money for someone who is moving up a league. Hitters with MLB experience get similar money to hit in Japan, so at first I was taken aback by the amount that Wang got. But the more I thought about it, I realized, the amount of experience doesn’t matter. If Wang is talented enough for MLB teams to consider him (Reds, etc.) then by market value he should be the same as any other Quad-A hitter. Take Oswaldo Arcia, for example, who was the foreign outfielder for the Fighters last season. He once was a 20 HR hitter in the big leagues, but he slashed .222/.315/.405 in Japan. It’s not about what they’ve done before, it’s about what they will do in the future, and Wang is getting paid like he will hit like a star in Japan. And I sure hope he will! mykbo.net posted an article from joongang today indicating that Dustin Nippert would be interested in playing in Taiwan in 2019 if he cannot get an offer from a KBO team. He was still pretty good in the KBO last year, and it’s clear he really wants to play at least one more season. I don’t know if a CPBL team would be willing to pay him $75,000 on a three-month contract, but that would probably be enough if he doesn’t get a KBO offer. The KBO is dumping a lot veteran foreign pitchers this off-season, including Eric Hacker, Henry Sosa and Ryan Feierabend. I could easily see a CPBL team signing one of these older veterans this off-season if any of them are willing to play for the CPBL’s salary scale. Wang Wei-Chung won’t be returning to the NC Dinos. Any chance he will play in the CPBL next year, instead of returning to AAA? It is entirely up to Nippert whether he wants to accept the CPBL salary. Would be a massive payout, but likely still make more than $200,000 USD plus additional incentives. Or the alternative route is doing it like Eric Hacker, reject CPBL offer and train privately and wait for KBO opportunity around mid-season. The problem is I don’t think CPBL need to hire anyone more than 300K pay grade. Since they can easily get an ace from the Atlantic League or Mexican League for something a lot less. Unless we see the CPBL making some drastic changes to its scheduling, I just don’t see it happening overnight. By drastic I mean, make it 6 games a week/ shorter season/ bump total games to 140 games per season. So this will force teams to sign better pitchers that can handle 4 days rest rotation. – Go NPB and sign a slightly below market contract. Wait for his chance. – Return to MLB system for another year. He will need to stay in oversea league until the Premier 12 Tournament and represent Taiwan and get his military service waived. So I guess his agency Bora Corp can figure something out for him. Wang can easily receive first year salary similar to what Brothers given to C.C. Lee. If he can be starting pitcher, probably even more. Mitch Lively has pitched extremely well in six Mexican Pacific League starts this winter after the CPBL season ended.